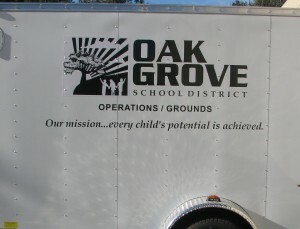 There is a lot to be said for simple vehicle graphics. Clean and to the point. 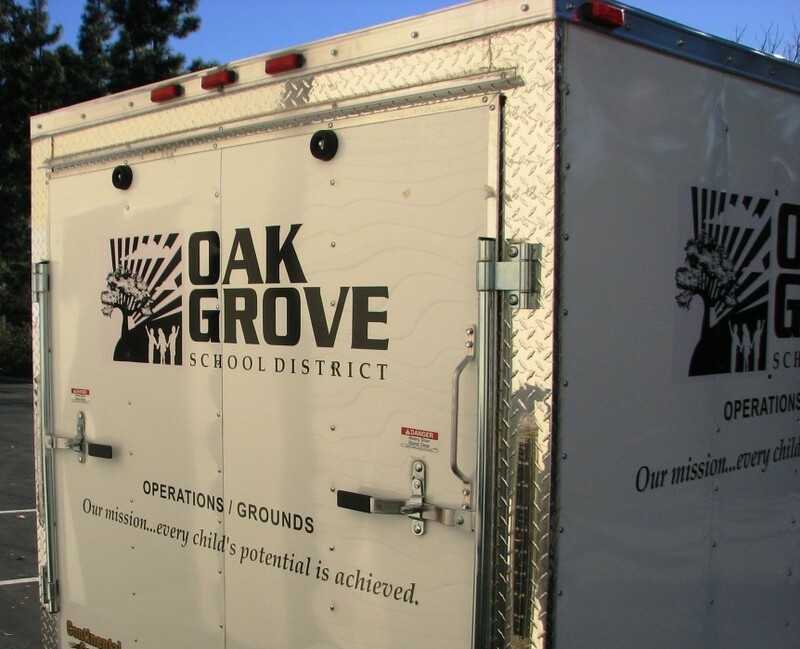 And let’s not forget very cost-effective especially for school districts with tight budgets. 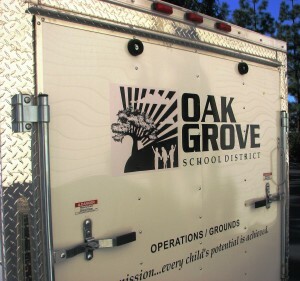 Case and point, Oak Grove Schools. 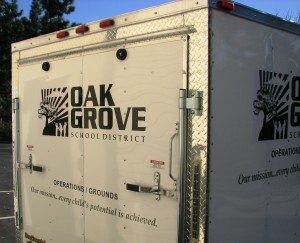 A simple one color contour cut text and logo met their requirements for their trailers. If you drive around the Bay Area, you’ll eventually see a fully wrapped car or truck. These wraps could costs thousands of dollars. And that is perfectly fine for certain advertising applications. But for other applications simple graphics will suffice. 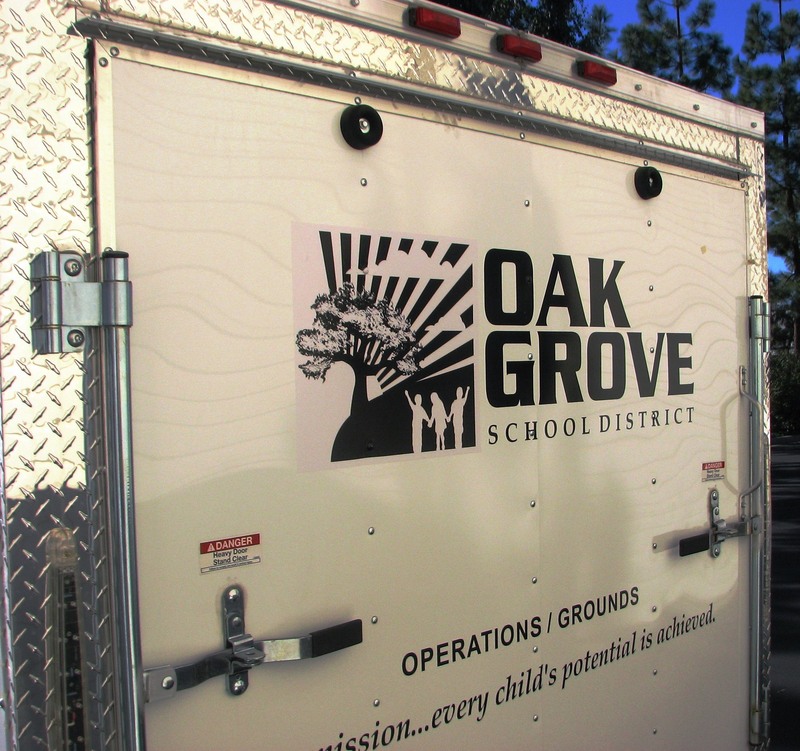 Here are a few completion photos of the Oak grove School trailer. If you have any questions or needs for vehicle graphics or any other signs, banners, or graphics, please call us now at 408-224-2800 or email us at sales@esignsunlimited.com.